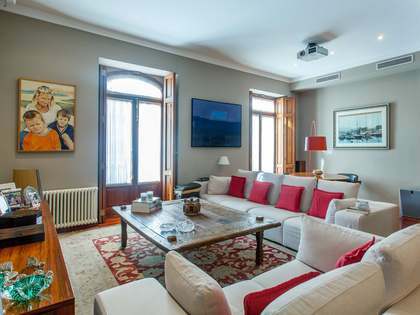 With a built size of 315 m², 6 bedrooms, 4 bathrooms, parking facilities for 4 vehicles, and a storage room, this is a truly impressive property for sale on Plaza de Compostela square and overlooking the Alameda Park, the most sought after location in Vigo city. 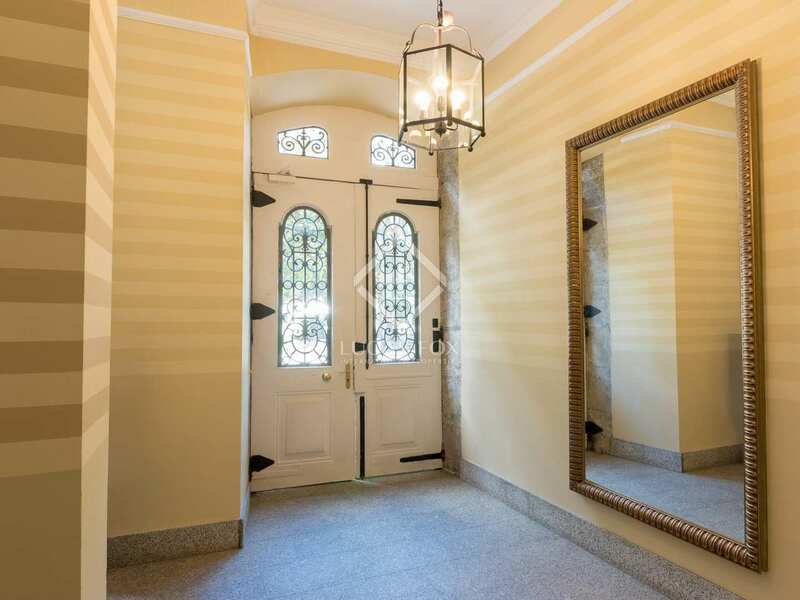 It is found in a landmark building dating back to the early 1900´s and completely renovated in 2003, walking distance to playgrounds, local schools, and public transportation. 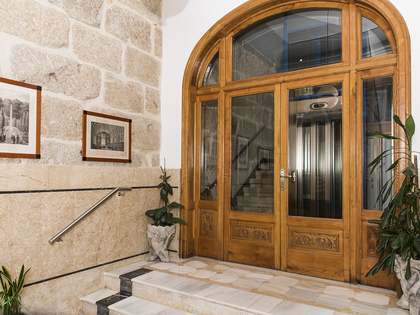 As we enter the building, we have a beautiful entrance hall with 2 lifts that take us to the apartment in question. On entering the apartment we find a beautiful entrance hall. 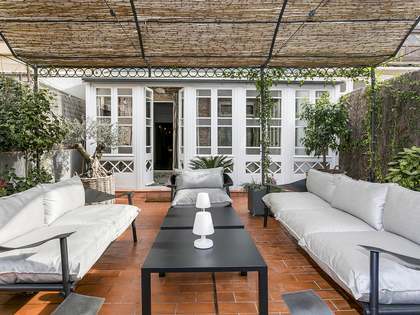 The property is divided into 2 wings, with a large living and dining room in the centre of the home. This section also offers access to the terrace. On the right side, we have 2 double bedrooms, 1 single bedroom, a bathroom and the master suite. The master suite offers its private terrace, overlooking the plaza, with mountain and sea views. On the left side, we have a large eat-in kitchen, a small laundry area, a double bedroom and a bathroom. Here we also have a large en-suite bedroom with a study. This room has a private terrace overlooking the plaza. The property offers 4 parking spaces and a storage room. It has been finished with good quality materials and kept in a traditional classic style. 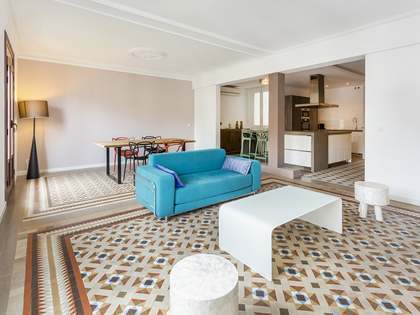 A great opportunity to acquire one of Vigo city's most impressive apartments and in a prime location. 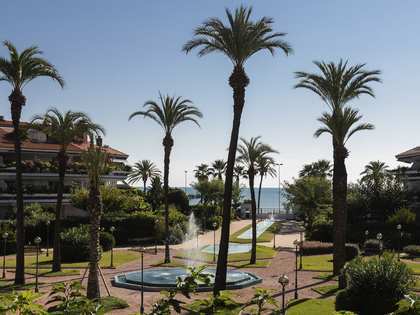 The property is located a short drive from Vigo international airport (approximately 25 minutes), 20 minutes to O Castro International British school, a 5-minute walk to the marina, shopping centres and health clubs. Around the Plaza de Compostela square, you'll find the most fashionable tapas bars, terraces, and restaurants in Vigo Old Town. The Alameda Park is a garden park in the city of Vigo, located in the Plaza de Compostela square, a commercial and service area close to the marina and the old town. It is an urban garden of formal design, with lined trees, sculptures, and fountains.